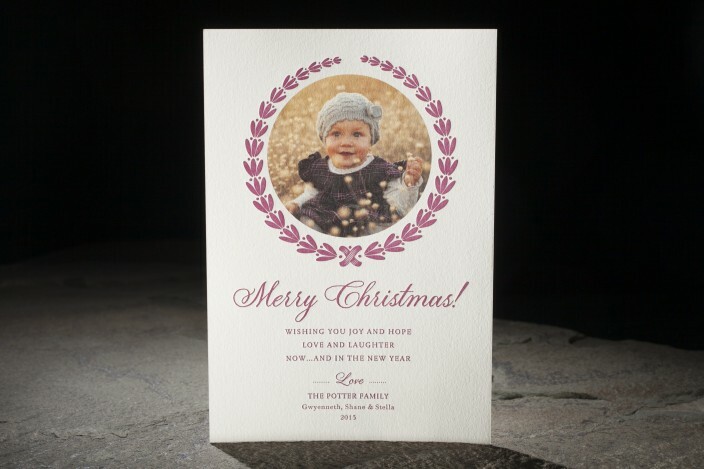 design highlights: digitally printed holiday photo cards with letterpress printing. plaza — an exclusive smock calligraphy font. classic christmas warmth. 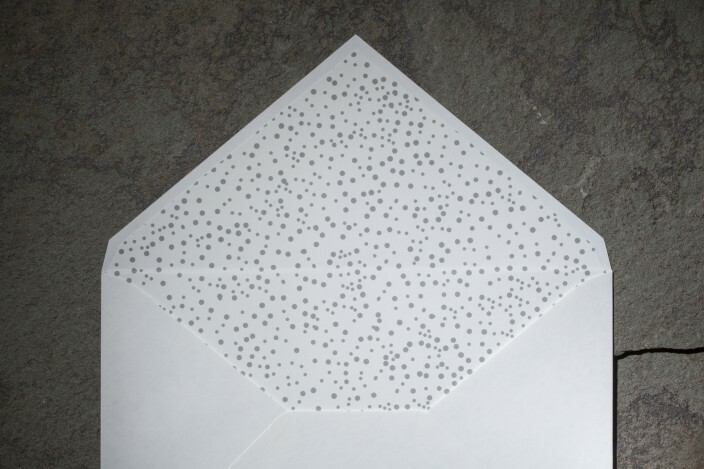 envelope liner pictured: pearl.